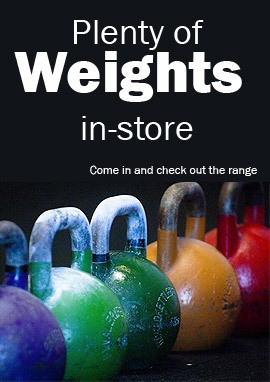 Clever Fitness is Tasmania’s fitness equipment superstore, stocking a massive range of quality treadmills. Our 15 years of expertise, in the sales and servicing of treadmills means we are able to point you to the machine that suits you best. We stock only reputable brands that are backed by industry leading warranties. Because we service all the treadmills we sell, we know the machines inside and out, giving you a peace of mind that you are buying your running machine from true, established fitness equipment professionals. Our range of finance and repayment options make it affordable to own a gret treadmill allowing you to exercise in the privacy and hygiene of your own home, on your own terms and most importantly of all, anytime you wish to do so. Come and speak to our staff about a treadmill deal that is right for you.